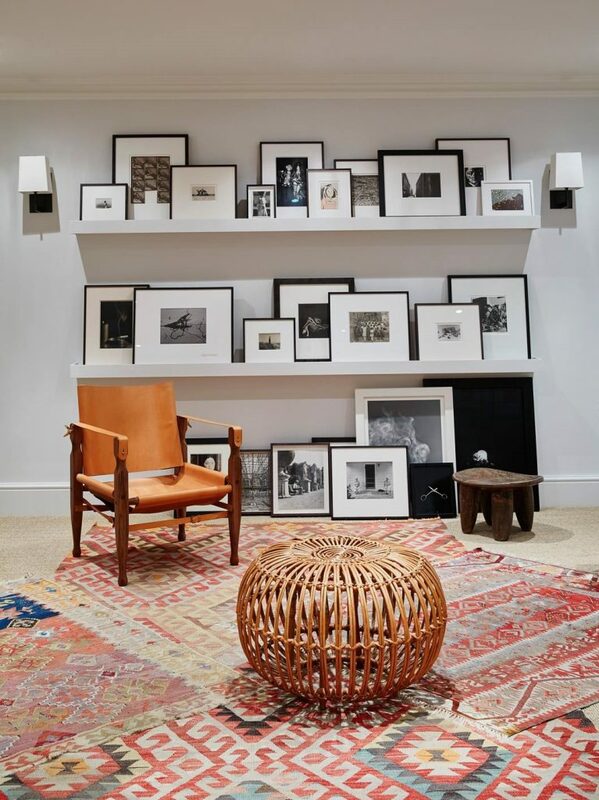 Gallery walls are a popular trend that is spreading on Instagram and Pinterest feeds. 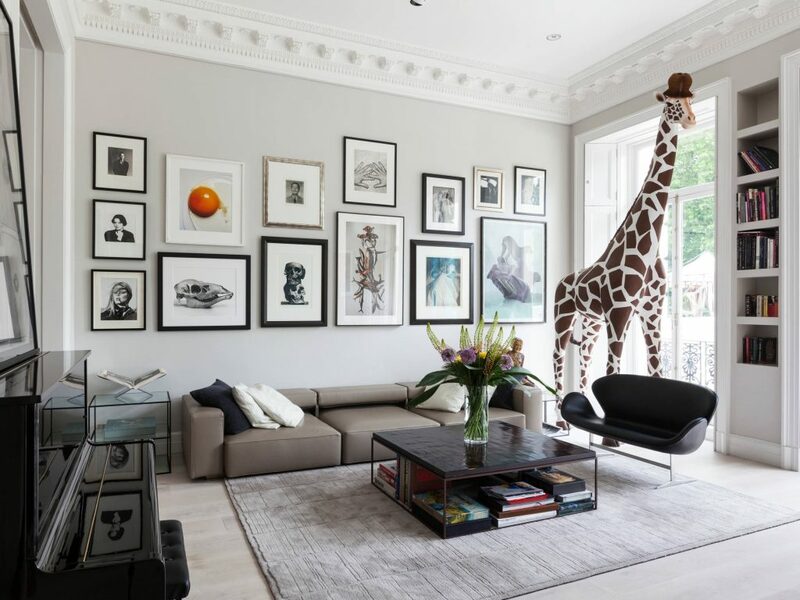 The interesting fact about gallery walls is that they are a cheap way to have a high impact effect on our walls. 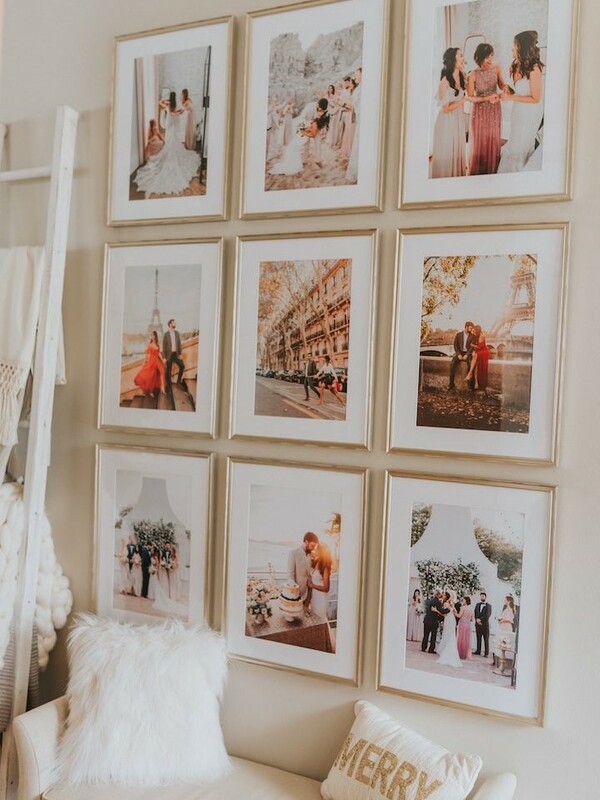 Frames often are cheaper than wallpaper and another interesting thing about them is that they are customizable and that we can put a personal touch with our own photos or drawings. 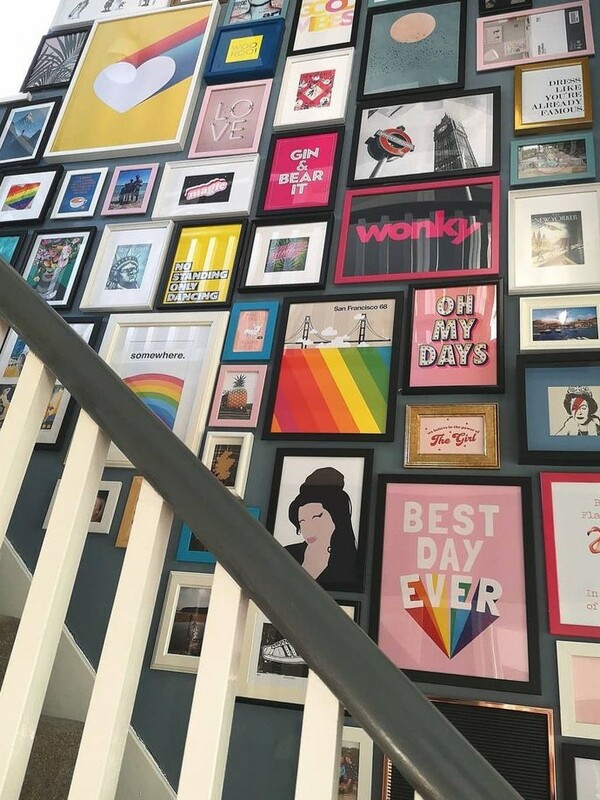 The interesting thing is that with a frame that is the same for all our picture the effect will be organized and elegant and smart even if the pictures are not photos but drawings for example of our kids or just quotes that we love and we put on a piece of paper without being Picasso. 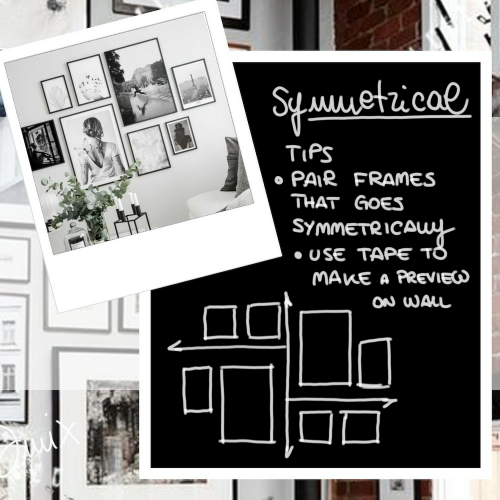 An important thing to keep in mind building our own gallery wall is a scheme. Without it, all the picture could be just chaos. 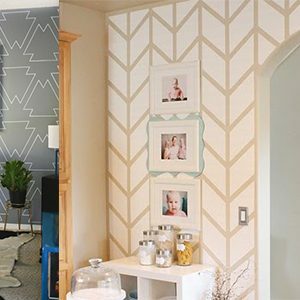 For a DIY gallery wall what you need is just a painters tape and an idea of what you prefer to have on your wall. 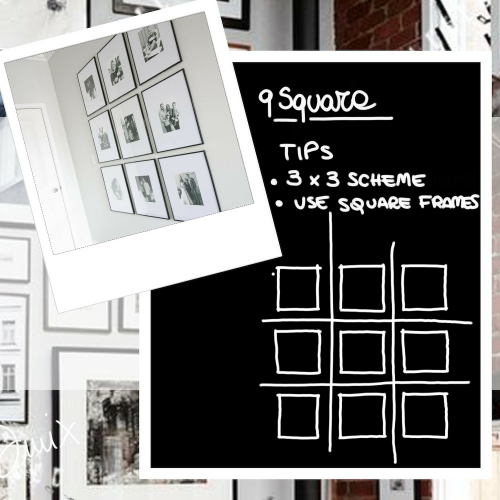 For example, you can choose a regular scheme that could be a line or a 9×9 square or a grid. 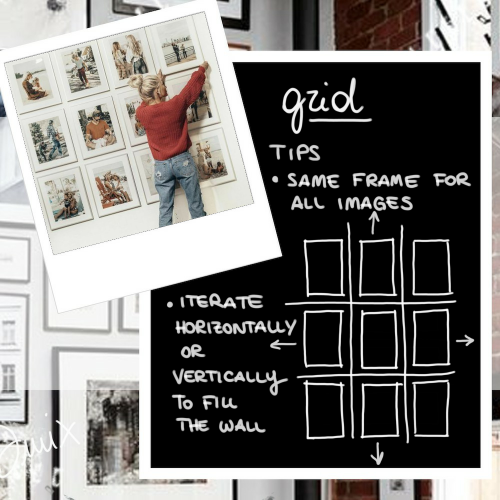 In the examples below, you can see how using a grid with a vertical alignment or a horizontal alignment could change the geometry of your wall. So the first thing you need is to have a plan. 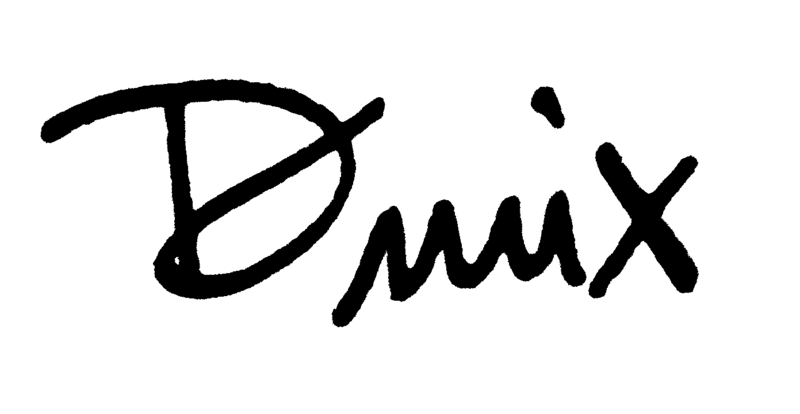 It could be useful to make a photo of your wall before you start working on it. Start with the end in mind means to have an idea of the final result that we want to achieve and to work to reach our goal. 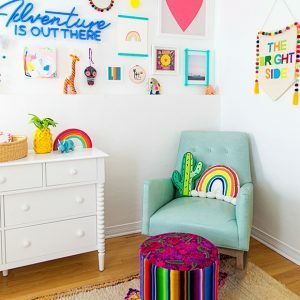 For example, if you want to put a gallery in your living room, above the sofa, you can style your room with pillows, throws, everything you want to put in that room and then take a shot. 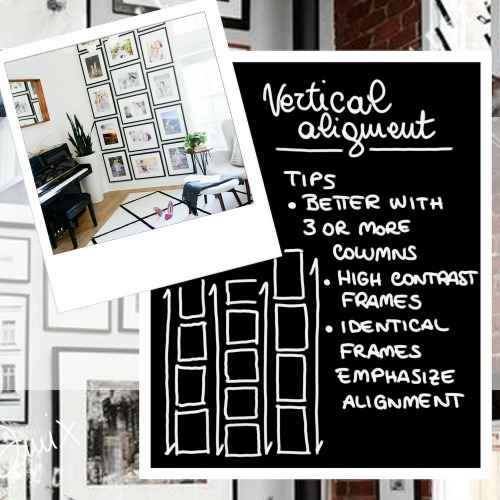 With an app, that could be for example Autodesk Sketch or Draw by Adobe, draw lines over the pic where do you want to put your frames and adjust alignment and order of your pictures. Then you have to use your hands and take a tape. 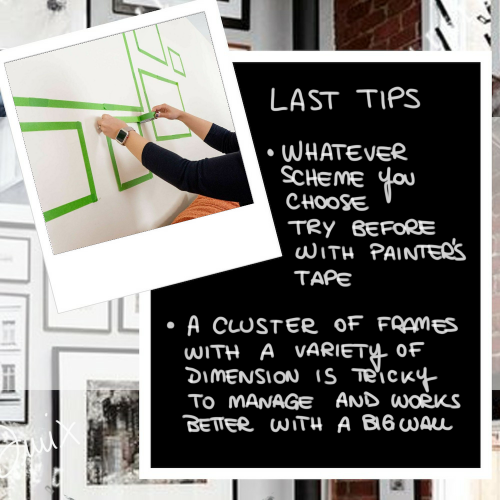 The ideal one is the painter tape because it doesn’t damage your wall and you can easily remove the tape when you finish to place frames. My first advice is to use the same kind of frame, of the same color, to have a modern effect. 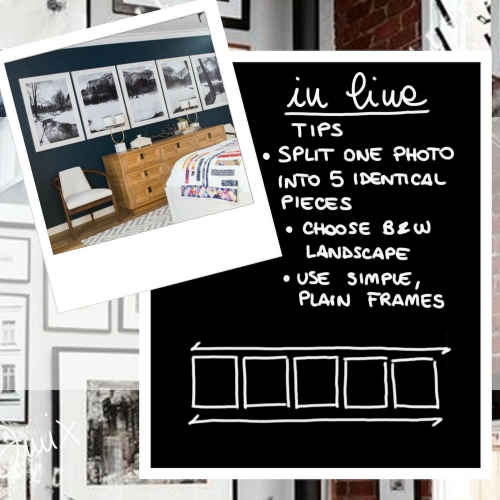 This works well in a minimal, classy or industrial room. 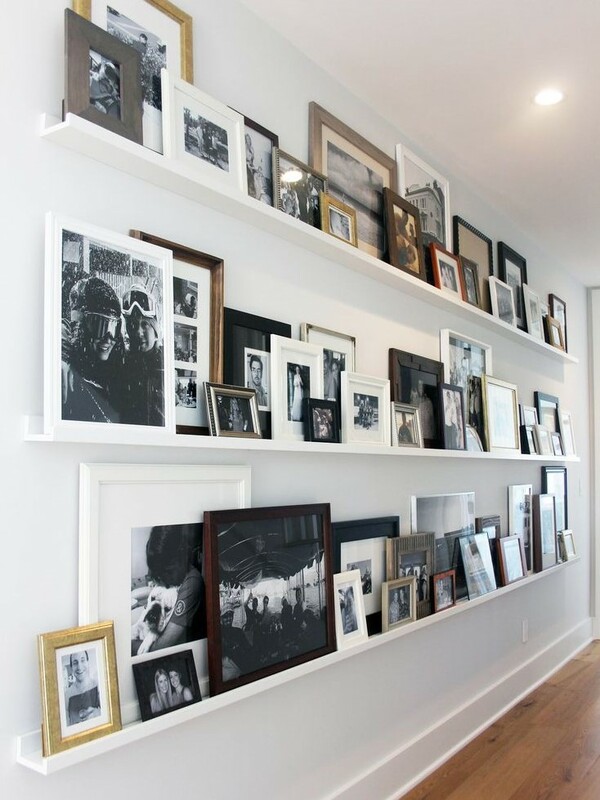 On the other hand, you can use a different kind of frames colors shapes if you have a vintage or eclectic styled home. 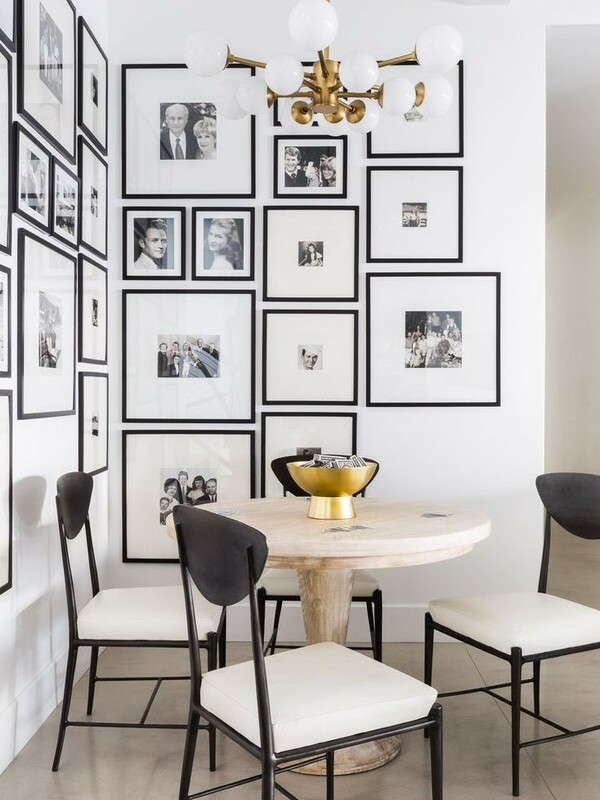 You can use a variety of frames to give character to a classic styled room, too. My second advice is to give personality to your wall. 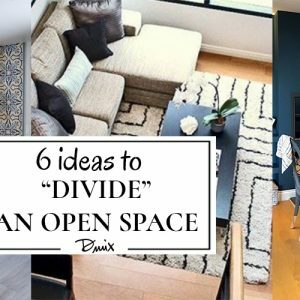 You can follow a plan and use a theme. 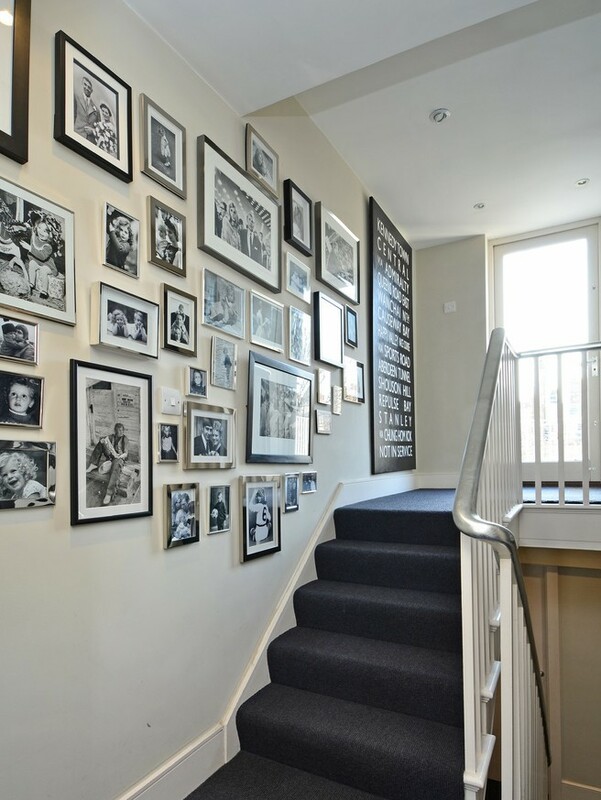 Third advice is to consider to decorate your staircase, if you have one, with a gallery wall. 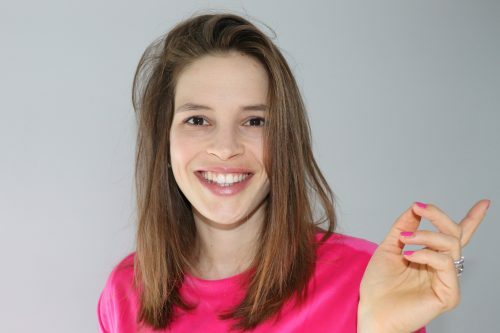 There are thousands of examples that are all different and beautiful at the same time. 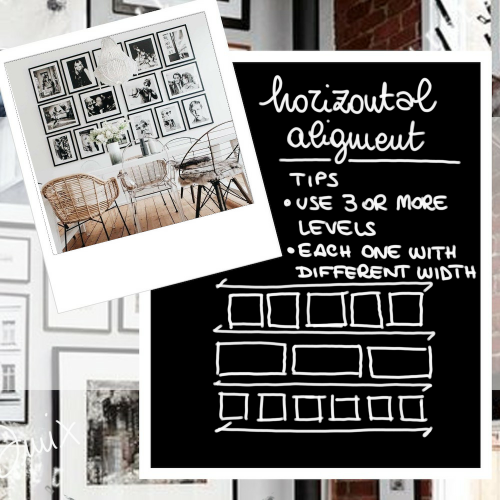 In the gallery below you can find some easy tips to follow to create your own gallery wall DIY.